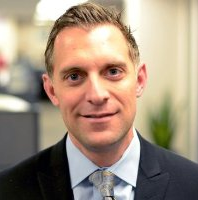 Albert Roy, Executive Director of the Lupus Research Alliance, sat down with PASS to discuss the challenges facing those diagnosed with lupus, including public misconceptions and awareness, research, and funding. What are some misconceptions about lupus? That you are not sick or that it’s in your head. There are plenty of lupus patients – due to the fact that it is so difficult to diagnose – whose physicians don’t believe that they actually have it, or that what they are experiencing isn’t lupus. Lupus is not a singular disease that affects everyone the same way. There are people that have very mild cases and look completely healthy and you wouldn’t know, and there are people with very severe cases of lupus who are bedridden and ill and in the hospital with organ failure. It depends on how it manifests itself in that individual person. 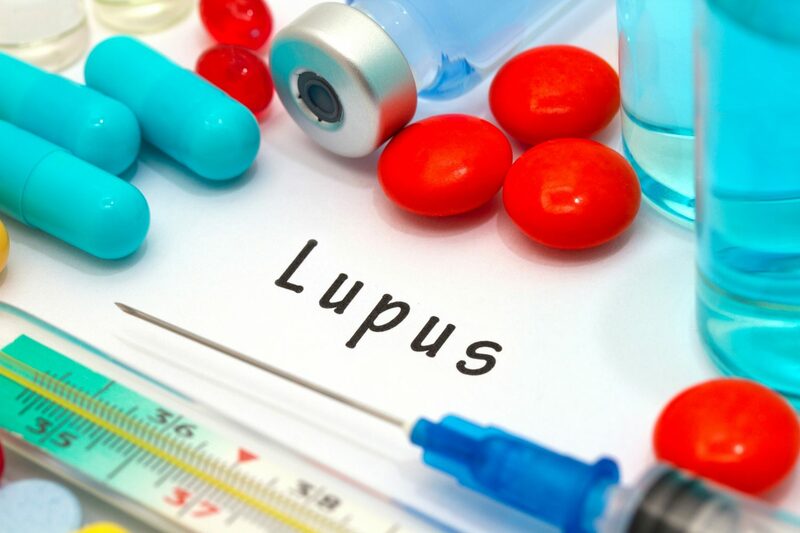 There are four different types of lupus: systemic lupus erythematosus (sle) where multi-organs or multi-systems are involved; cutaneous or discoid lupus which produces skin problems or rashes similar to psoriasis; central nervous system (cns) lupus which impacts the central nervous system and no other organs; and lupus nephritis which is the most severe type and harms your kidneys. There is no cure for any of those, only different treatments. Treatments are very toxic because the treatments range from anti-malarials to cancer treatment drugs. Lupus is chronic, and giving these drugs to a patient over multiple years causes more harm than good due to the toxicity of them. Tell us about your position at the Lupus Research Alliance? I’m the Executive Director of our organization. I have two major responsibilities. The first one is overseeing our large clinical trials network program, and then I spend a good amount of my time on the road visiting with donors to raise money and awareness about what we’re doing from the lupus research alliance perspective to get them involved. I spend a lot of time actually going out and working with pharmaceutical companies and investigators at academic centers to create partnerships with whom we can do trials. Historically, how has public awareness and financial support grown for this disease? From a public policy perspective, lupus has not hit the prime time like other diseases. The reason why is that lupus is typically looped in with rheumatoid arthritis; the symptoms of rheumatoid arthritis are similar or overlap. Aside from the symptoms being similar, the National Institute of Health (NIH) also grouped the diseases together. Many more people have rheumatoid arthritis than lupus. Unfortunately, funding from NIH has never been that great. Over the last decade, funding for lupus – from various types of donors – has gotten progressively worse. My organization, the Lupus Research Alliance (LRA), is the largest funder of lupus research from a private perspective, and over the last 16 years, we’ve committed up to 170 million dollars in funding for basic science and translational science of lupus. That funding stream has been consistent over the last 17 years – it may have increased a little bit, but it hasn’t decreased. As far as public awareness of the disease, it’s getting a little better. In fact, we were fortunate that the Department of Defense (DOD) has a research initiative in the medical branch. There are certain diseases that get an earmark or an appropriation where you can document research. For the first time, lupus will have a 5 million dollar earmark for research through that Department of Defense mechanism. There is some movement in wanting to do more on a national level with the DOD and here in Washington. Public advocacy and awareness still needs to get better. That’s not something the Lupus Research Alliance focuses on – we exclusively focus on research, but there is another like-minded organization here in Washington called The Lupus Foundation of America that is advancing advocacy and awareness for lupus. It’s gotten better, but it’s still not where it needs to be. Government funding at the national level is decreasing and that’s why philanthropic funding – as is found at LRA – is invaluable to one day finding a cure for this disease. So far, what has the recent merger allowed the Lupus Research Alliance to accomplish that it wouldn’t have been able to as two separate entities? The merger was recently completed in July 2016. The driving thought with the merger was to essentially consolidate activities in lupus, but particularly in New York. Three organizations were included in the merger – the Alliance for Lupus Research, the Lupus Research Institute, and then the S.L.E. Lupus Foundation. All three organizations are NY-based, and all focus on science and research. We were going to the same donors, so it made sense to form one organization, one voice, and reduce confusion in the market place. One year forward, we’ve accomplished unity from the patient’s perspective, with one visible source of information and funding for research. There’s less competition, which means we can direct more of our attention to our mission. The only other lupus organization in the United States that has a national footprint is the Lupus Foundation of America – they are here in Washington, but they are strictly focused on advocacy and awareness. From a research program perspective, our accomplishment is that we’ll actually have more money as a organization for lupus research than ever before due to the newly combined funds. We have also developed a very cool program which is where my time is spent as Executive Director of the Lupus Research Alliance – it’s a large clinical network of academic sites that we’ve known for a very long time, and investigators can use that network as a turnkey suite of services. Industry can come work with us, and partner with our network members to do clinical trials. That program started right when we merged last year, and we have four new trials that are going to be opening up in our network – I think that’s a great milestone. What’s on the horizon for LRA in terms of future goals? Currently, we have a 20 million dollar campaign that we’re trying to raise money around. We started it two years ago even before the merger – we are now 60 million dollars towards our 100 million dollar goal. We would certainly like to get the 100 million dollars, so hopefully over the next year, we’ll get closer to it. As far as any additional goals, we want to have an active portfolio of clinical trials running through our network and it is important to keep that up over a long period of time. A main goal is to have a number of new partnerships with industry. Right now, we have four. Hopefully, next year, we’ll have another four. That’s where we’d like to be in the short term. Long term, we want to cure lupus. How we define and measure success, I think, is a little different than how others might measure it. At LRA, we typically measure success by whether patients live a symptom-free life. Biologically, they do still have the disease, but our goal is for patients to be the best versions of themselves. We’re not there yet in terms of actually curing lupus, and that’s why we are getting more involved in clinical trials – we want more effective, safer treatments for patients. How far away are we from a cure for lupus? Very far. Lupus is not a homogenous disease, it affects everyone differently. Primarily it affects women, young women in childbearing ages. It also disproportionately affects women of color – due to that heterogeneity, one size doesn’t fit all with a therapeutic treatment. Our goal is to treat the disease according to the nature of the disease, which means treating each person individually. This involves precision medicine and knowing the genetic makeup of the disease on a personal level. We need to stratify the disease in a way that allows you target therapies differently. There has been some really good work that’s been done by Virginia Pasqual at Baylor University. Pasqual has shown that you can begin to subdivide patients based on their genetic and molecular backgrounds. While the hope is there, much more work still has to happen. We believe that we’ll hopefully be able to start targeting drugs towards those patients. Once that happens, you’ll see much better outcomes for people with lupus. Currently, there is some movement going in that direction, which is what is needed. Can you address the scope of your international work? Internationally, we have a large grants program – separate from our clinical trials program which has been in existence for 16 years. Our grants program is focused on basic and translational science. There are two I’d like to highlight. We have the Target Identification of Lupus Grants – they are focused on specific targets. Those grants are more translational than they are basic. In our clinical trials network, since it’s very new, we don’t have sites internationally with which we can partner. Hopefully one day, we’ll get to the point where we can expand because lupus is a worldwide disease – it is not just within these borders. Can you address lupus on a global scale – who it is affecting, and what does it looks like? Globally, it’s challenging to estimate the numbers of individuals suffering from lupus. Due to the challenges of diagnosing lupus, there isn’t a definitive number that I’d feel comfortable sharing. In North America, it’s about 1.5 million. In terms of the demographics, those don’t change across borders; it’s still primarily women, 90 percent women. They are typically of child bearing age, and three times more likely to be women of color or Asian. Those demographics don’t change across borders..
LRA is the world’s largest private funder of lupus research. Your organization states, “no other non-governmental organization has done more to combat this awful disease.” To what do you attribute that success? I attribute it to the fact that we’re very fortunate to have our founder Robert Wood Johnson IV. He is the great-grandson of the founder of the Johnson and Johnson company, and heir to the Johnson and Johnson wealth. He founded our organization because his daughter had lupus. He is a philanthropist, and has given millions of dollars to this organization. His support has been amazingly helpful to our success. The question is how do we make good decisions with that money. We have a strong opinion leader type of network that we’ve established over the last 16 years. You can bring in experts, develop proposals, or identify unmet needs, and then, go out into the community and ask people to apply or give some of their best ideas of how to address those unmet needs. Our vetting structure for how we do that and our due diligence over the course of the last 16 years has been tried and refined. We’re not perfect, but we do a good job of identifying those ideas, vetting out those ideas, and making sure that they meet milestones as they go forward. Success could mean many things. It could be a drug candidate that ultimately gets picked up by a small biotech company and then gets moved into a clinical trial. It could also be identifying a new target that we hadn’t otherwise identified as showing any efficacy in treating lupus, which then requires more research being done on it and ultimately gets to be a drug target. Having the cash, then building the infrastructure, and finally, having the people engage in the right way is really helping us move the needle more than any private foundation dedicated to lupus out there. We’re not perfect. Only one new drug has been approved in 60 years for lupus, which is horrible. We need to be a lot better, but given the inherent limitations, I think we’re doing a relatively good job. Why do you think only one drug has been approved in 60 years? I think the challenges of the heterogeneous nature of the disease are key to answering that question. One size doesn’t fit all, so you can’t create a drug that is going to apply to everybody well – that’s the driving reason. We need to be able to segment the disease into cohorts of patients who have the same makeup or a common makeup, and then address that drugs need to be more focused or precise. If we do that, it will lead to us getting more approvals of drugs for patients with this disease. Right now, the one-size-fits-all approach isn’t working. We’re learning more about it, and that’s really where we have to focus a lot of our effort and work. Furthermore, we have to be able to show this in a way that actually compels the FDA to allow us to design trials with these patient cohorts so we can get a regulatory path for approval, which is a separate discussion. Has anything surprised you during the course of your time at LRA? I’ve been there as a full time employee since last July, so my year anniversary just happened. Surprised me? Where I came from – cancer research – there was an established culture of research, particularly around drug development. I worked in a cooperative group where everyone had different egos or expertise, but in a very structured and unified way, everyone focused on what would benefit the greatest number of people. In the lupus community, we’re all driven by the same goal – improving the lives of people with lupus – but there are silos. The culture of research and collaboration around drug development and working with industry doesn’t yet fully exist. That was surprising to me, and maybe it shouldn’t have been because what we’re doing hadn’t been done in lupus before. I was surprised that there has been a lack of a culture of research. Everyone needs to come together in a methodical and cohesive way. Much had not been done on a clinical trial side of things, and on the drug development side of things with lupus. You might think there would be more emphasis with that in the community. More and more stakeholders have noted the same thing. This is forcing people to think about what we’re doing in new ways – which is what we want – and that’s a good catalyst for one day finding a cure for lupus. No Replies to "The Impact of Private Funding and Research on Lupus"